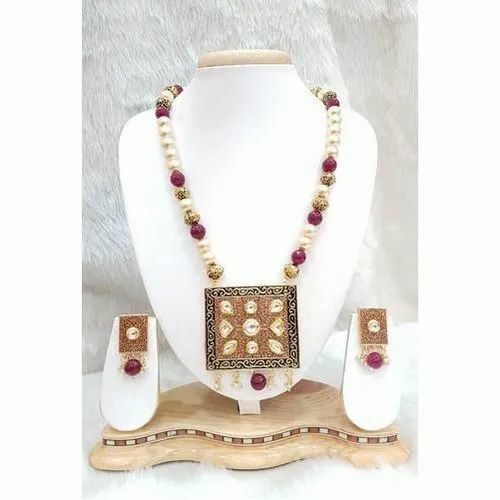 Since 2015, Nithya Covering & Fancy Store is instrumental in this business of manufacturing, wholesaling and trading the optimum quality spectrum of Ladies Necklace Set, Bridal Jewellery Set, Ladies Necklace, Ladies Bangles and many more. Our organization is a Sole Proprietorship (Individual) entity, which has settled its chief headquarter at Pallavaram, Chennai, Tamil Nadu, from where all the work-related activities are ardently monitored by the skilled professionals. As our customers are one of the most crucial elements for development, we make sure to fulfill their each and every requirement with extreme diligence.